Of course, language studies are about passion. 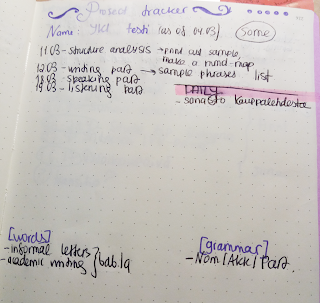 But, well, we all have so many things on our to-do list, or feel so stressed about language studies (especially Finnish language studies), or are sure that 15 minutes of languages per day does not change anything. So, I am really eager to start this blog with some important tips on self-organisation. As for me, it helps now to prepare for YKI testi keskitaso. So, it is especially good for any structured learning, whether it is sorting out grammar or getting to know unusual test format. You can also use pens of different colours to mark questions, study goals, unclear moments, etc. I really adore the idea of hand-made journals to track planned events and especially goals. 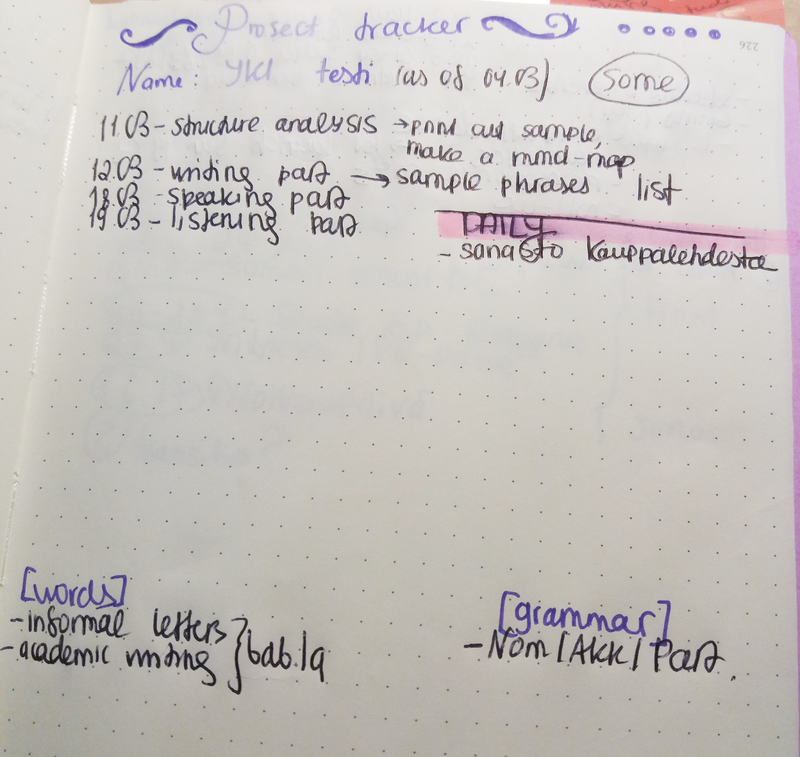 There you can always track how much time you actually spend on preparing for YKI testi/learning vocabulary/etc, write down your positive thoughts on your language studies and surely write down your language studies related worries as well. "Alku aina hankala, lopussa kiitos seisoo." - I remember that it was a first sentence in Finnish that my teacher gave me during my first Finnish language lesson. And, I would say, there is no absolute and concrete definition of start - no matter how we are advanced in our studies, there is always a next stage of studies that we can take!